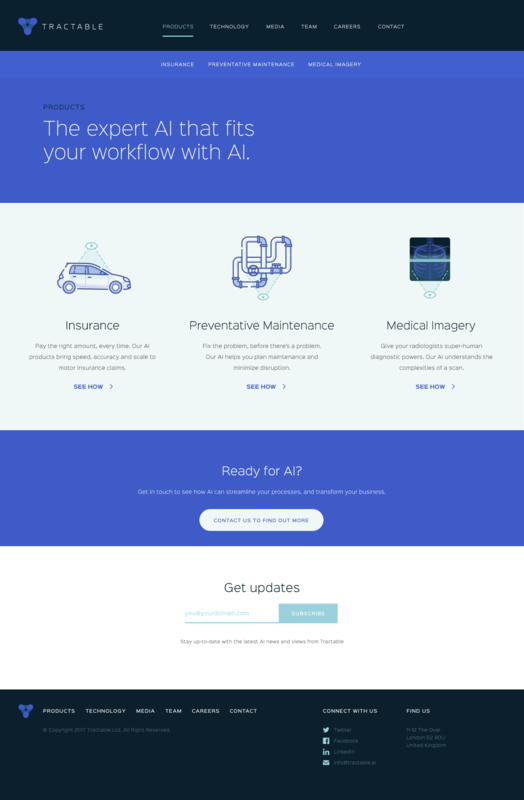 Tractable are a London based startup Artificial Intelligence company specialising in automating expert visual tasks for the car insurance and medical imagery industries. Tractable are targeting the U.S Auto insurance market with their first product which uses their AI software which can assess photos of car damage much more accurately than any expert can and 10 times faster. They approached us for a complete rebrand which would target the US market and hold up against any future markets they intend to disrupt. They also wanted to attract new talent to recruit. We worked with our copywriter to help us create brand values, a mission statement, audience profiling and a unique tone of voice for Tractable and we delivered with a unique brand identity which works on so many levels. We created a new illustration and icon style followed the new brand identity into a redesigned website and created stationery, business cards, stickers and t-shirts. 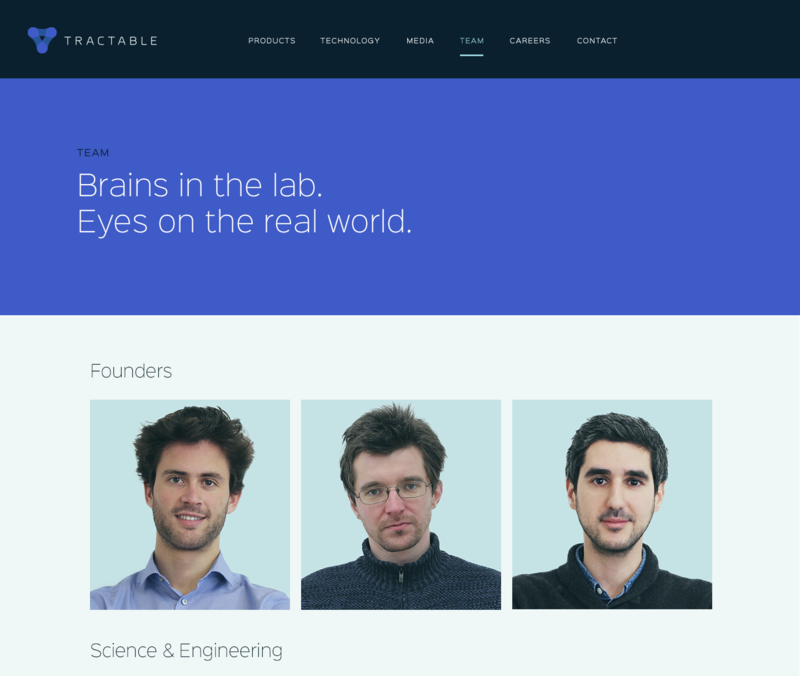 Since the new Brand Identity and website redesign Tractable have enticed 8 more people to work for them and have now a U.S office. They have also secured $8M of VC funding. Watch this space for further updates on their growth. Working with Supereight Studio is just the right combination of direct professionalism and creative flair. 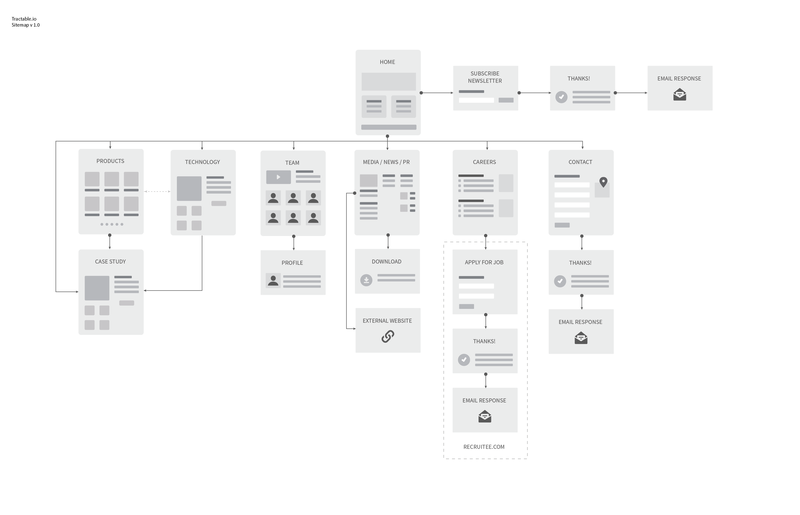 They communicated openly on ideas with us from beginning to end and aimed to understand and convey exactly what our company was about.